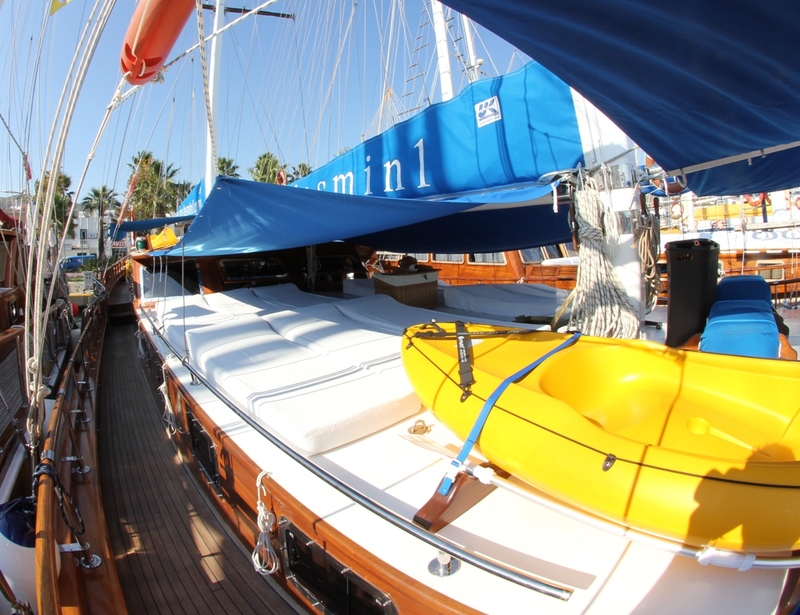 Jasmin 1 is a true sailing gulet proven by winning her class in The Bodrum Cup 2013 and 2014 – The International Wooden Yacht Regatta, and has taken that honour five times over the past fifteen years. 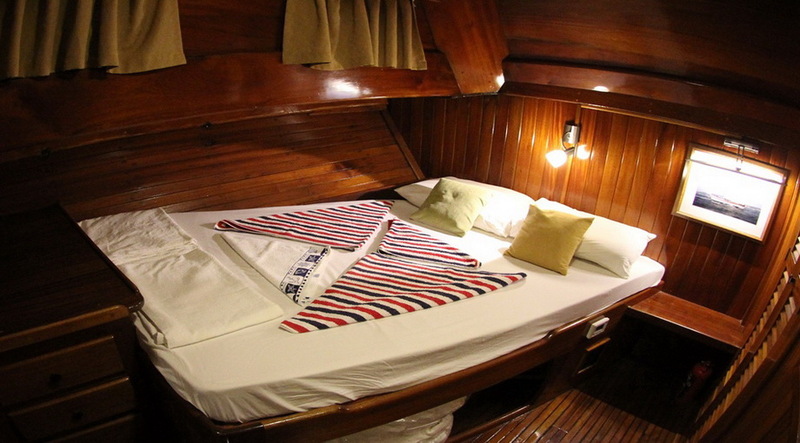 Her experienced captain/long time owner keeps her very well maintained in true nautical fashion. 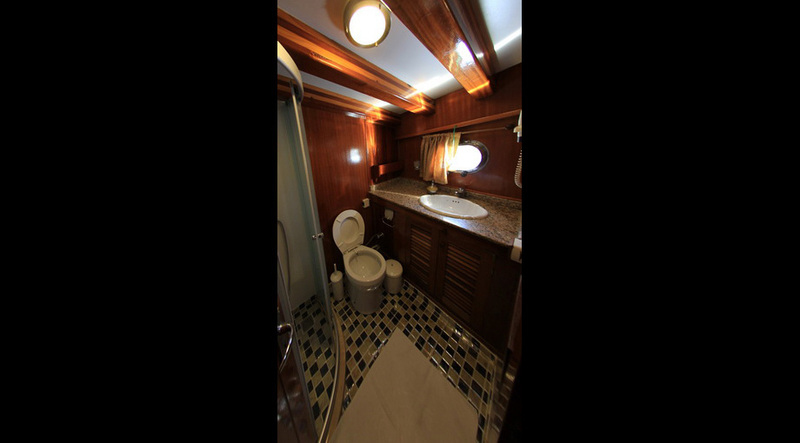 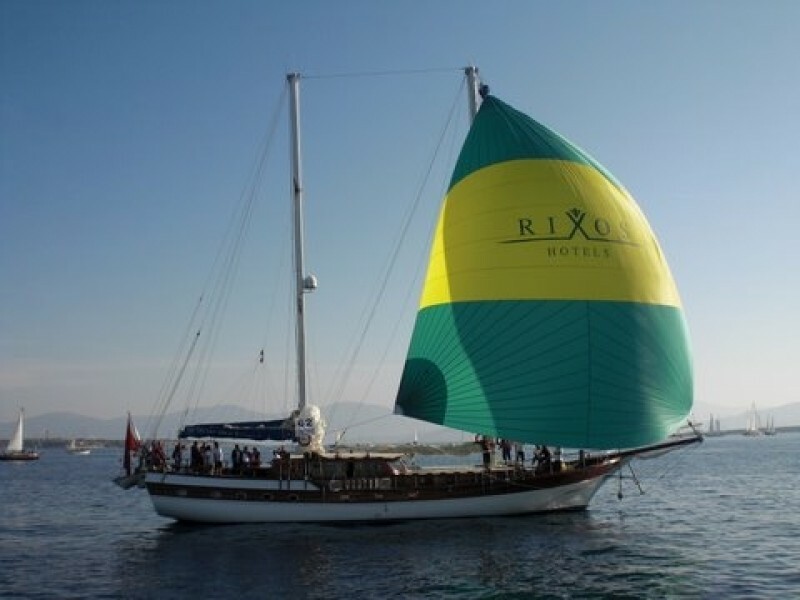 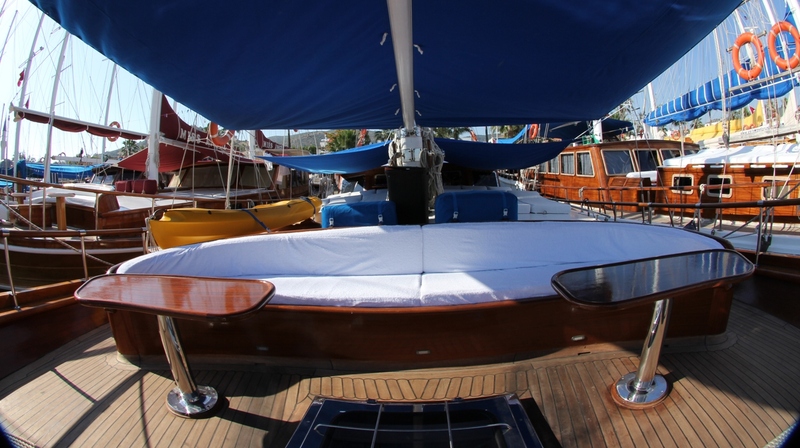 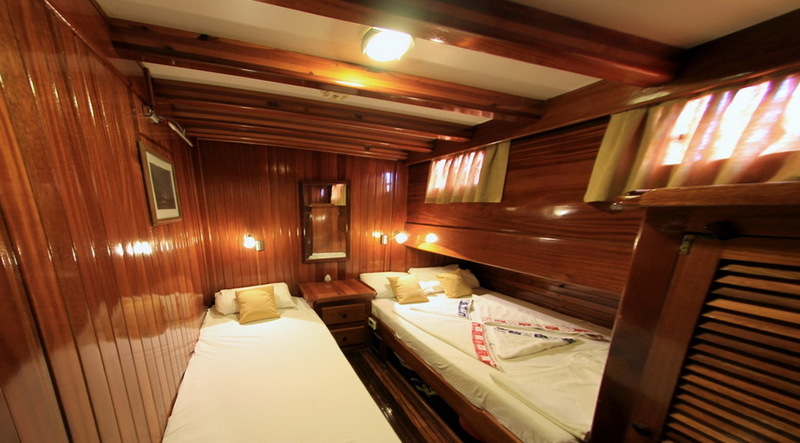 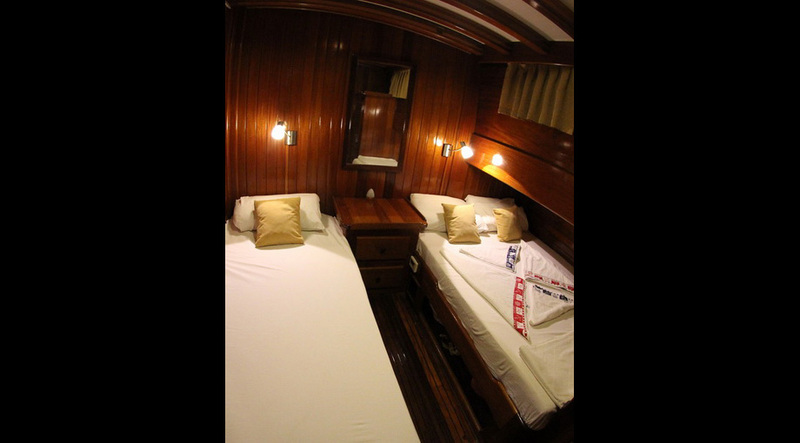 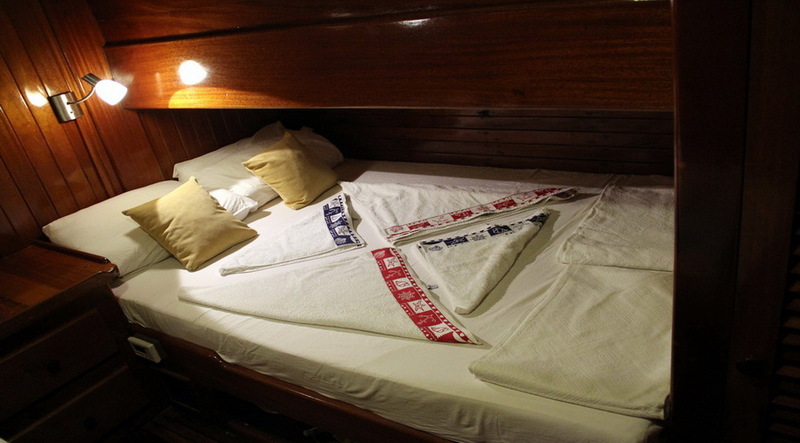 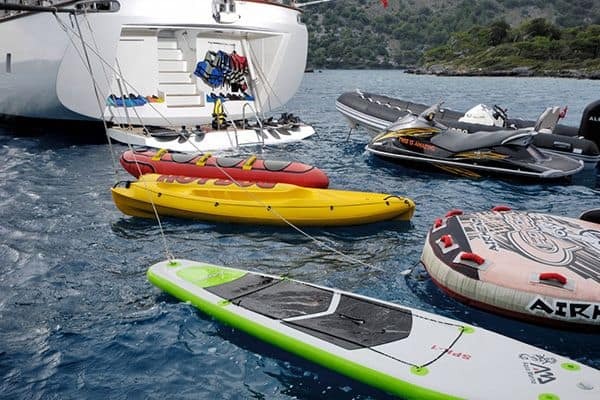 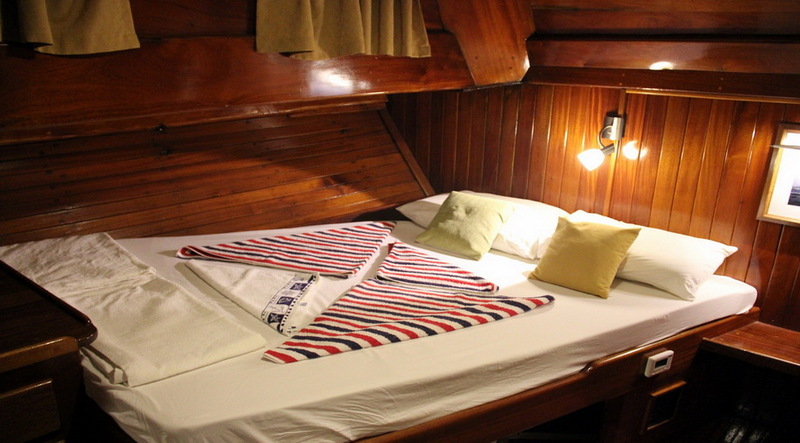 She offers great comfort with her modern facilities and some extraordinary features compared to many other gulets of the same standard gulet class, such as hairdryers, satellite TV, ringo, and waterski. 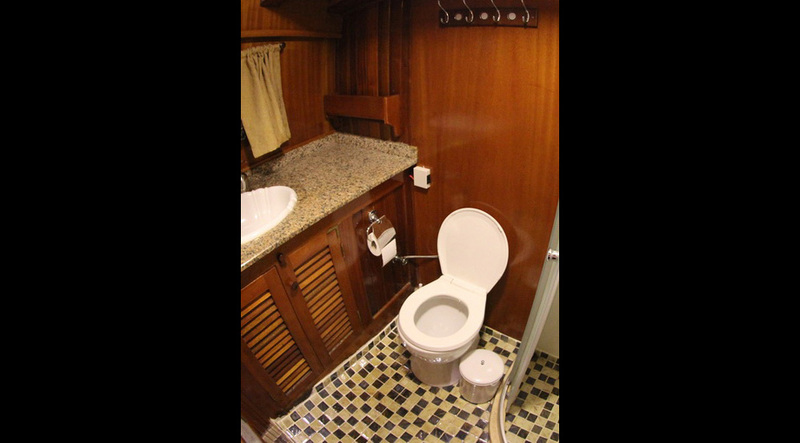 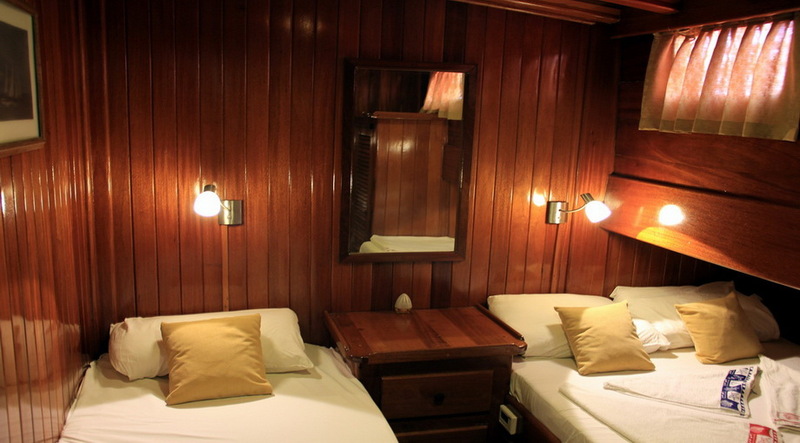 The neat double or twin/double pine-lined cabins all have their own bathrooms. 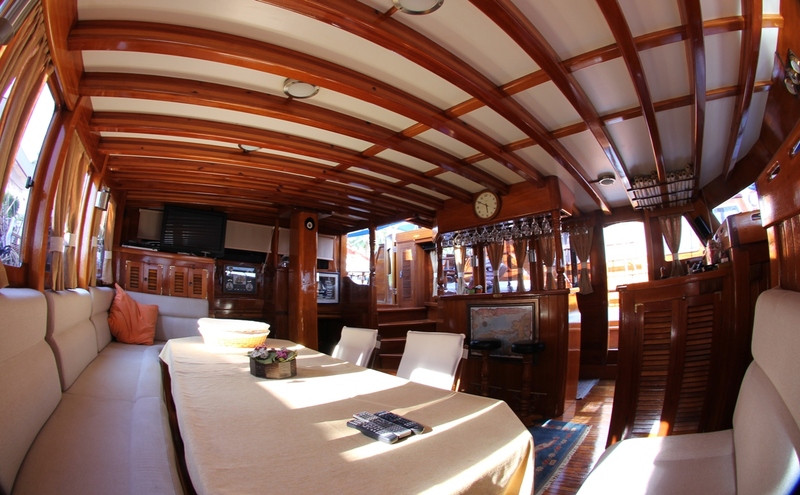 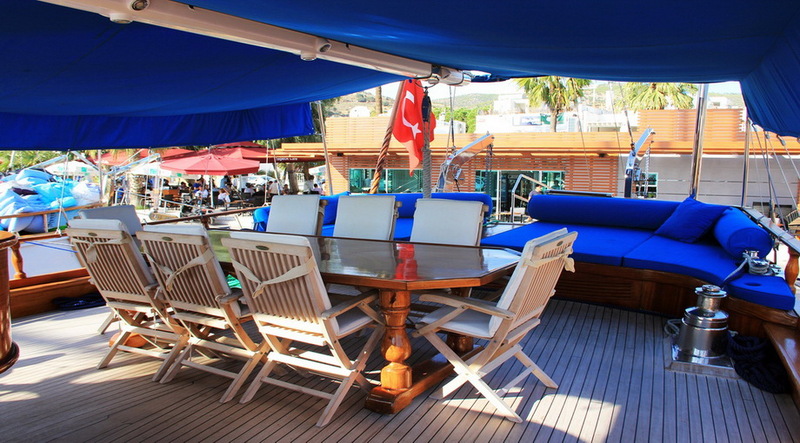 The indoor saloon on sailing gulet Jasmin 1 has a neat seating nook on one side and the dining table arranged on the other side of the space. 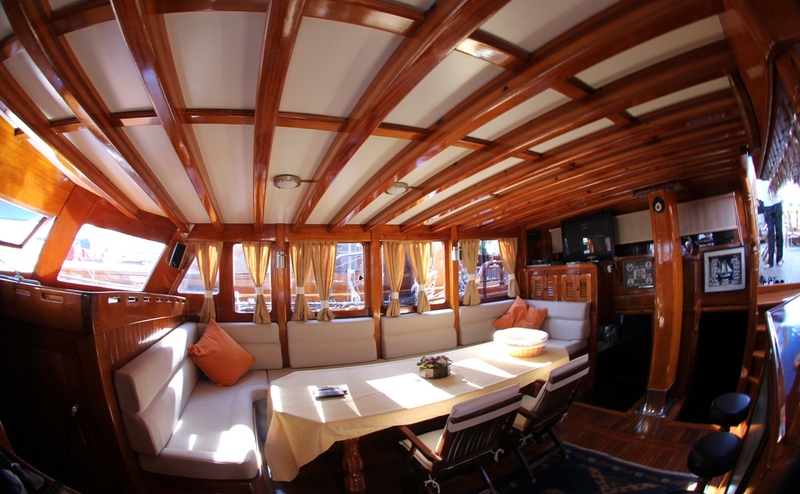 Her fore deck sports a spacious area with sun matresses for twelve, and the aft deck encourages guests to enjoy time with books or chatting on the wide mattressed seating area, and relaxed al fresco meals at the long dining table. 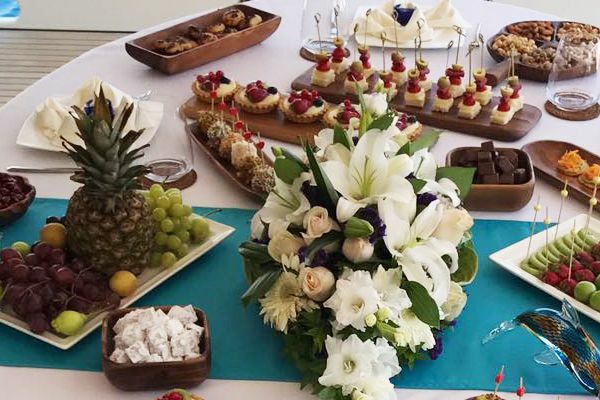 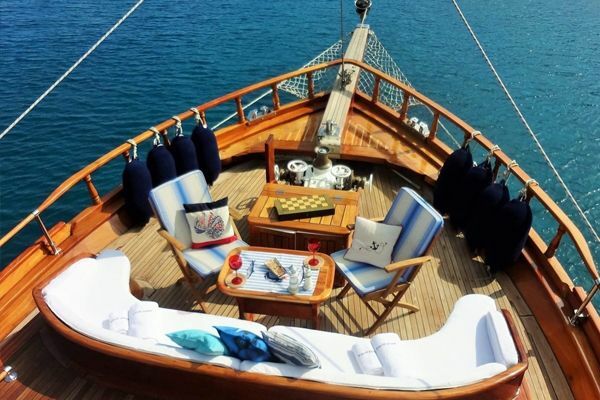 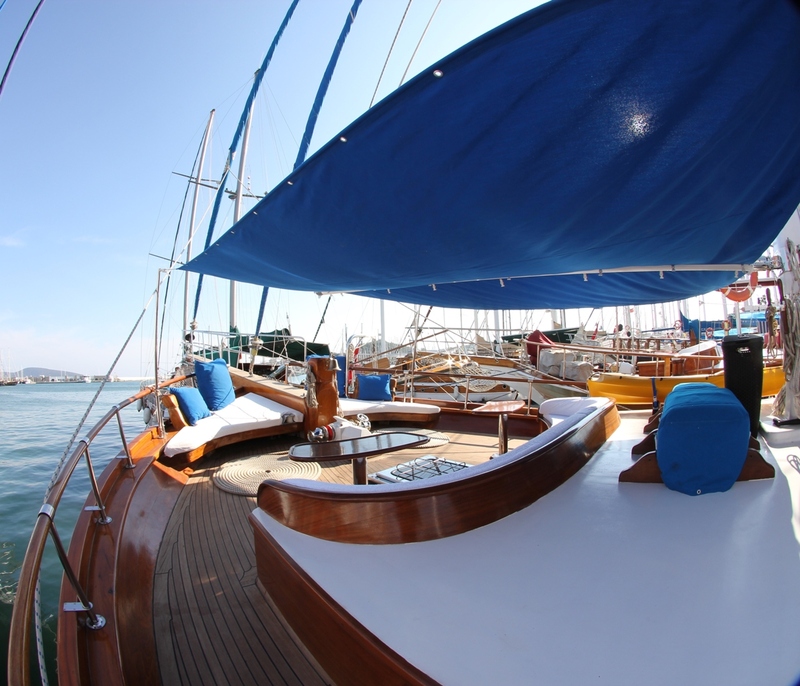 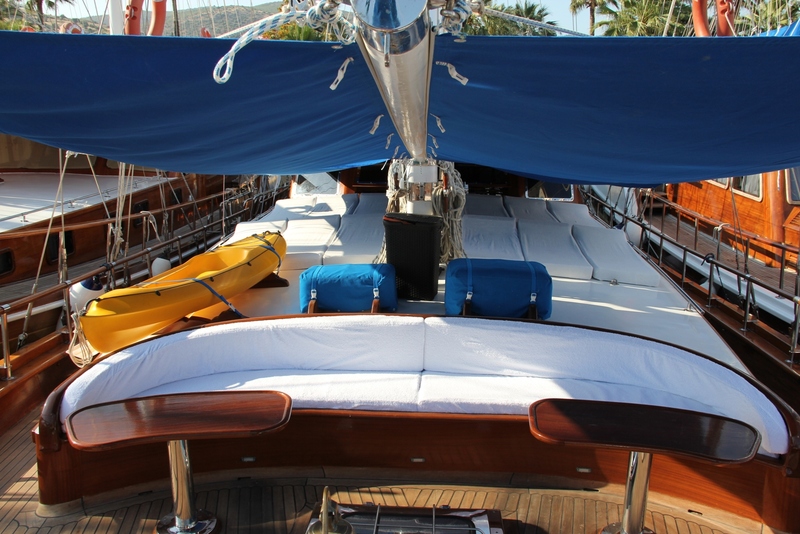 She always returns her guests to harbour relaxed and more than satisfied with their cruising gulet holiday. 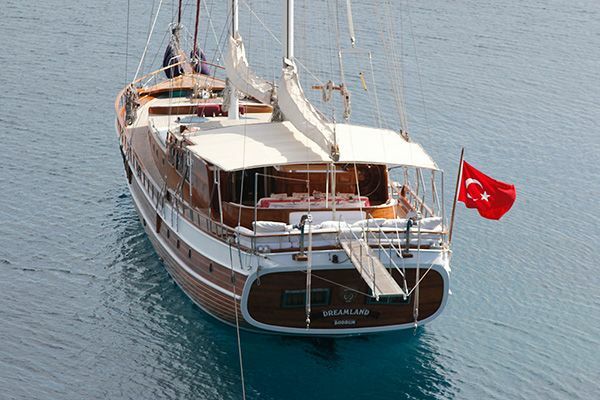 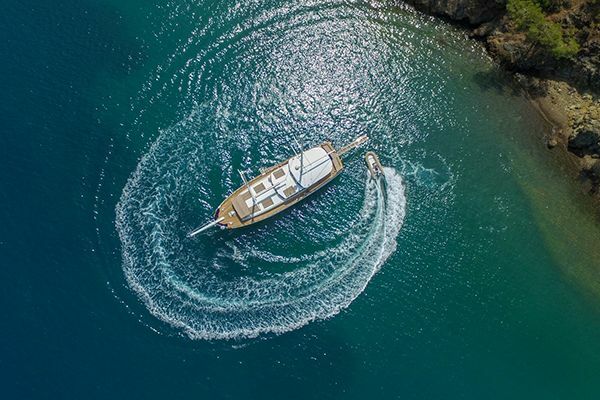 The gulet Jasmin 1 captain knows his way around the Turkish coast and the nearby Greek islands of Kalymnos, Kos, Leros and Patmos, and can make your dream gulet charter holiday just right with a Greek Island hopping cruise.